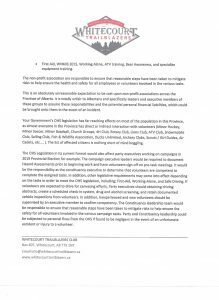 Please be advised that we are not having any club directed volunteer groups trail cleaning etc. 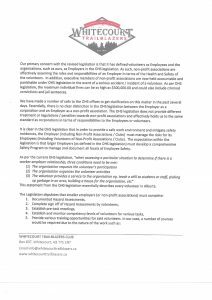 We have been advised that we are to develop OHS Safety plans as an employer and assume risks as an employer. 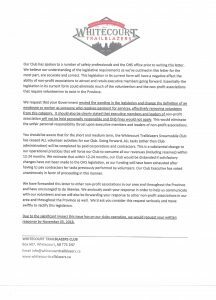 Until this is clarified and we are given clear direction, we will be having contractors clean our trails for this season. Unfortunately due to lack of numbers, ZacsTracs is cancelling their session in Whitecourt. We will try again next year. 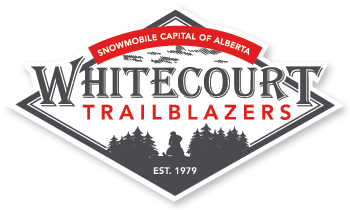 2018/2019 ASA Membership Trail Passes for sale and pickup at RPM Powersports Ltd. Adrenaline Powersports Ltd Whitecourt IGA TTRC Esso at Kanata and First Choice Truck and Car Wash. You can also purchase a Membership Pass on our website http://www.whitecourttrailblazers.ca/trail-pass or the http://albertasnowmobile.ca/get-involved/asa/join-asa . Get your early bird pass before Dec 31- $80.00. After January 1 -$90. A big thank you to our volunteers who sell Trail Passes as well! Did you know that the ASA (Alberta Snowmobile Association) is also reimbursing, the first 50 participants, their registration fee for participating in an AST1 or AST2 – Classroom and Field Course this season. 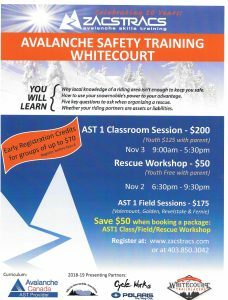 (to be eligible, ASA Members must submit a copy of their current ASA Membership Card and certificate of completion of an AST Course by an Avalanche Canada Recognized AST Provider. ASA will accept entries until February 28, 2019). 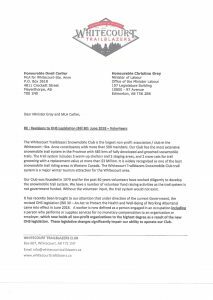 CONGRATULATIONS WHITECOURT TRAILBLAZERS ON 2018 SNORIDERS WEST AWARDS!